Speedy Direct is our customer service centre, providing a single point of contact for our account customers. 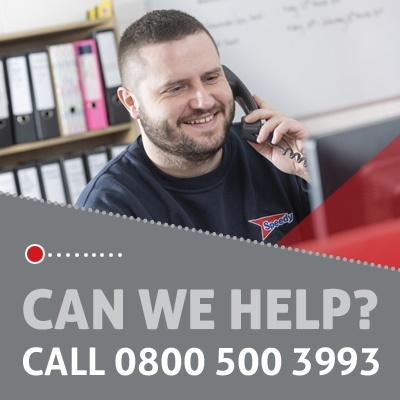 Speedy Direct is our customer services centre, providing a single contact point for our account customers, supporting all their requirements across hire, consumable and equipment sales, training, services and query resolution. It’s their job to co-ordinate all equipment and service requests, quotes, deliveries and collections – providing all-round service excellence, and ensuring that every job, no matter how complex, is delivered quickly and efficiently. Our regionally-based account customers are supported by our network of Customer Services Centres around the UK, providing a local point of contact for hires, delivery and collection requests, expert advice and any additional service requirements.